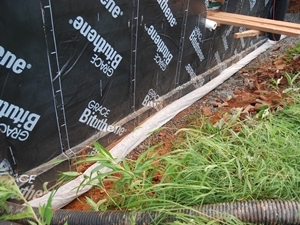 Often rain and groundwater accumulate in your yard and cause soil erosion and water damage to your home. This damage can be quite serious if left untreated. 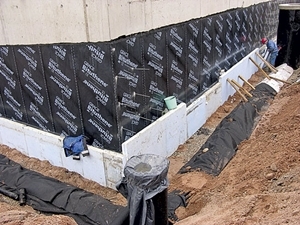 Fortunately, Rock Landscaping is here to help you with your foundation waterproofing and keep your home dry and protected. 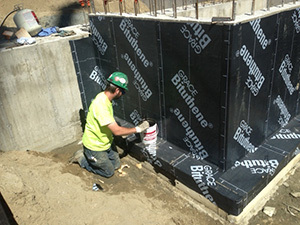 Rock Landscaping is the premiere foundation waterproofing and drainage company in Anchorage, Eagle Rock, and Wasilla. We've installed countless drainage systems for your neighbors and are capable of solving even the most complex water accumulation issues. At Rock Landscaping, we understand that no two yards are alike. That's why we customize our service to perfectly solve potential problems with your property. Our team of drainage experts will carefully analyze your yard's slope, soil type and proximity to your home and determine the best means to avoid potential flooding and surplus groundwater. 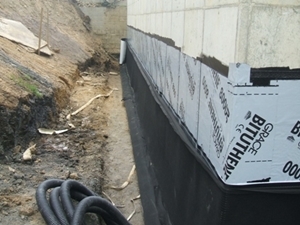 Our services include installation of all components and maintenance of drainage systems. Rock Landscaping's talented team of engineers will design the most efficient means of keeping your property dry and our licensed and insured construction crew will build it to precise specifications. Don't wait, protect your yard and home. Call Rock Landscaping today.